Flippin’ great news! 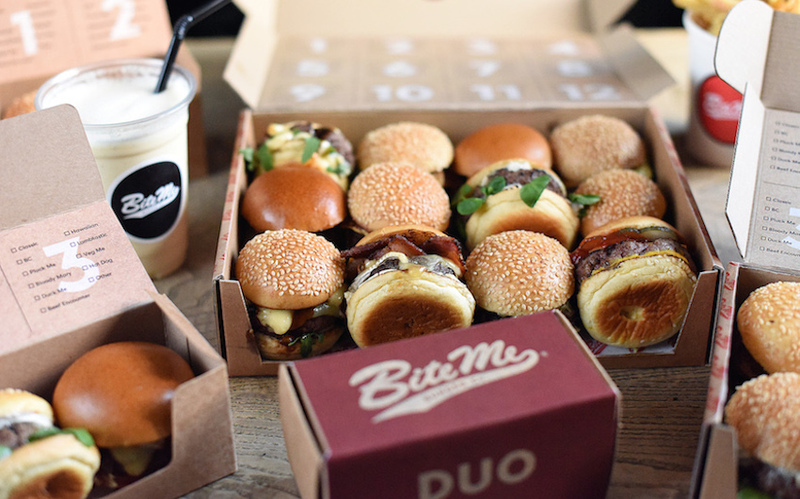 Bite Me Burger Co are opening in Holborn with a menu of mini-burgers. The pop-up comes from Adam Rawson and will be opening with 50% OFF food and shakes. From classic cheeseburgers and buttermilk fried chicken burgers, to duck burgers with truffle mayo, there are sliders for everyone and we can’t wait to mix and match, and probably order that box of 12! There will also be fries, hot dogs and thick shakes to make it a proper feast.